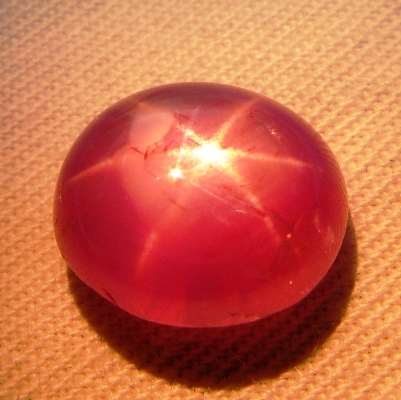 Comment: Pink star sapphire with a good dash of red in an allover mild hue. Strong star, slightly off-center but sharp and full. See additional images showing the exceptional cleanness and flawless inner structure of this gem without torch-light: No dirty spots, no fractures or such, just the silky silvery fine needle structure producing the star phenomena and a thin red line adding extra color. Exceptional size, but not too big for a ladies ring. 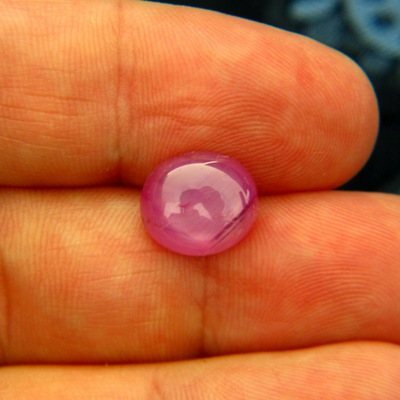 Almost no gray, rare for a star sapphire.